March also begins my autumn (and a lot of your springs!) – What is autumn to me? Autumn is falling leaves, red hues and brown-orange tinges, a reminiscent season for summer and the taste of maple syrup and pancakes permanently on your tongue. Was that last one just me? Veruca Salt: Daddy, I want a squirrel. Get me one of those squirrels, I want one! Mr. Salt: Veruca dear, you have many marvellous pets. Veruca Salt: All I’ve got at home is one pony and two dogs and four cats and six bunny rabbits and two parakeets and three canaries and a green parrot and a turtle, and a silly old hamster! I WANT a SQUIRREL! Mr. Salt: All right, pet. Daddy’ll get you a squirrel just as soon as he possibly can. He is awesometeddybearlikesmartfunnydrivesbesttechnologicallygenius *puff* coolfabulousfantasticbookreadingmostgeneralknowledgeable person I *puff* know. Sorry did you catch that *puff* because I don’t *puff* think *puff* I have the *puff* breath *puff* to say it again! Anyway, I did a couple of adjustments I would not have even thought of back then since I was still starting out but of course used this recipe. Nothing could ever beat this recipe. Never. I renamed it. Because I used a tart tin. It is not a pie. It is a lemon meringue tart. A pie becomes to big in my health obsessed famille. Tart tin all good. I used a dash of vanilla (1 tsp I would say) in the infallible pie tart pastry crust. Vanilla makes life better no doubt. Pingback: Daddy’s Throwback & Winner Announced! Wow! I love lemon meringue and this looks absolutely scrumptiously delicious! I have reblogged a few of your links on my new reblog page, and may add another! Beautiful lemon meringue pie! I love anything tart lemon, and would love a large slice! Hoping you Dad enjoyed a wonderful birthday. I think I’d be pretty darn happy if this beautiful tart were to become by traditional birthday cake. 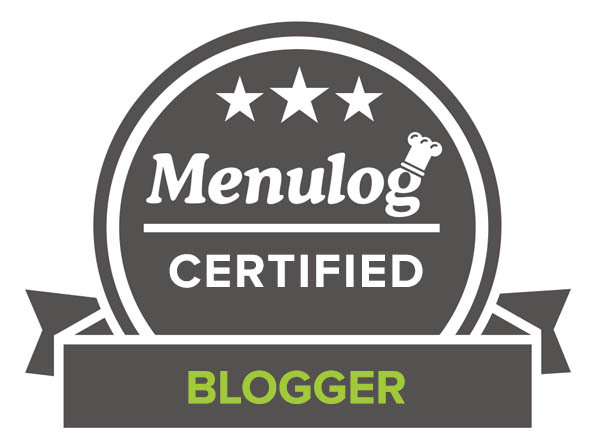 Your meringue is perfect! 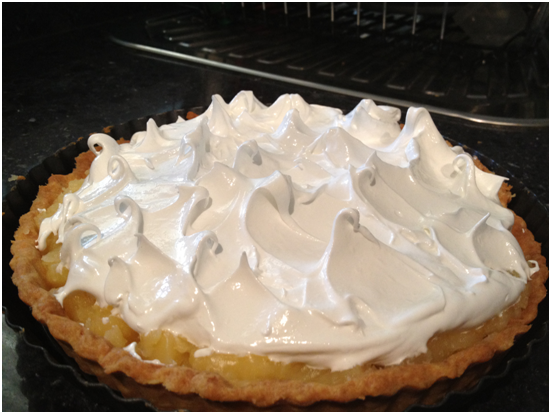 And I would be more than happy to pop over and make this meringue for your birthday – so glad you enjoyed it! Absolutely stunning! 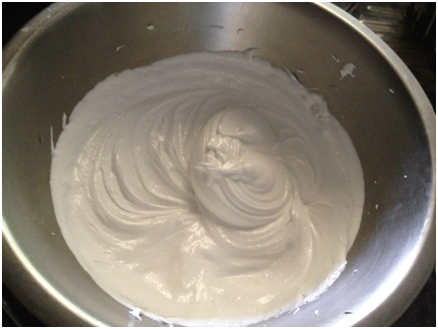 Your meringue is SO glossy and perfect! I am so impressed! This is an amazing blog, you have given me an appetite for following it! LOOOOVE your meringue!! Very tastefully done!! So tall and lovely! And NOT burnt!! I think I need more practice with mine… heheh..
yum, this looks delicious! i love meringue in any form, + it looks like you did a great job on it (+ the entire pie) here. And meringue is one of the simplest but most delicious sugary sweets ever in my opinion! Could this pie look any more gorgeous/delicious!? I’m not so sure. This is fabulous. I wouldn’t mind a huge slice right now. 😉 Happy birthday to your dad! Mentally sending you a piece right now! You are too funny 🙂 This is one busy month of celebrations for you…and this pie is a delightful way to get in the mood, gorgeous! Oh national pie day!! This sounds like an excellent excuse to make another pie (or tart) since I made one last night for no reason at all! Happy bday daddy! 😉 What a great birthday pie! Yum! Can’t wait to go see yours!!! Thanks for sharing your recipe!!! Yayyyy and yum! Daddys ARE the best! Haha glad someone else is bratty/sweet enough to call their father daddy! Haha thank you so much – and am in definite agreement with you!!!! omygosh your lemon meringue pie is gorgeous!! I made a meringue cake the other day and I seriously failed at torching the frosting, I wanted it to look like yours! I am so glad you liked this pie so much!!! Thanks for enjoying this post so much! your post was very entertaining to read! Your family sounds like a lot of fun. I loved your pie and your torch trick. I need to get one of those! Looks delish, your daddy’s one lucky guy! Also, maybe this will be the year I get over my fear of blow-torches. Toasting things looks fun, and pretty! That meringue looks like perfection! I have been wanting to make lemon meringue pie. We got a torch finally – after YEARS of putting it off saying we don’t need it. Now we need to get the lighter fuel, maybe in another year or so we’d finally get one hehe 🙂 Yours look great!!! Happy Birthday to your dad!! You are just too funny! But also very sweet for making this pie for your dad. It looks great! Have fun at all the birthdays you have this month! Happy Birthday to Daddy!! This looks so good, what a treat for him! What an absolute perfect Pie; your dad is so lucky! 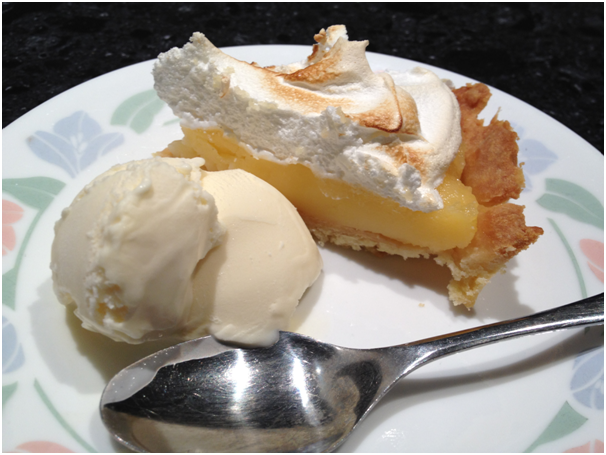 Lemon meringue pie…or tart…was my favorite when i was a kid. Still ranks pretty high on my list of great desserts. Happy birthday to your dad! 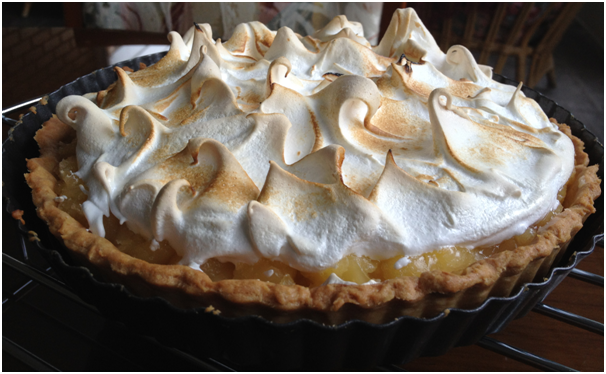 I’ve never had lemon meringue pie but….but….but yours looks super duper awesome and I would soooo swallow it whole. You did a fantastic job!!! BRAVO! I love the way you described your dad! I bet he is extremely proud to have such a wonderful daughter! I bet it will turn out wonderful! Want some….yes plz! Beautiful job on this pie. 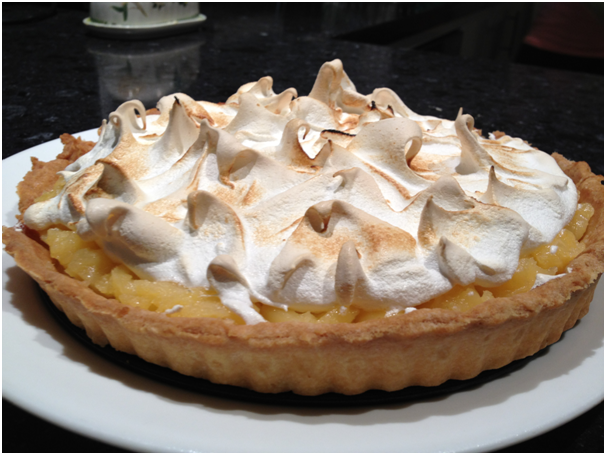 Lemon meringue tart looks HEAVENLY! I have a torch somewhere in the kitchen..but can’t even bother to use it for anything. And I am so glad you enjoyed this tart! Fabulous pie…I mean tart! I LOVE everything lemon! For Christmas I tried my first lemon meringue and was not impressed with the recipe I used so I am going to have to give yours a try. It looks like a great recipe! Thanks so much for inspiring me to give lemon meringue a try again! Aww you are so sweet – thank you my friend! I think your daddy is lucky to have such a smartcleverfunnybeautifultalentedwonderfuldaughter too:) My dad loves lemon meringue pie.. You’ve got me thinking I should make him one when he’s back in town! And.. I just bought a blow torch! Fun!! Hope you dad enjoyes this just as much as mine did! My favorite dessert of all time! A good choice for you Dad! Your tart looks and sounds so enticing 🙂 well done! Happy Birthday Dad! I wouldn’t presume to call him daddy, he’s yours. …My dad loved my pecan pie and every time I make it I think of him. This will be your dad’s special pie er, um…tart. It looks wonderful. 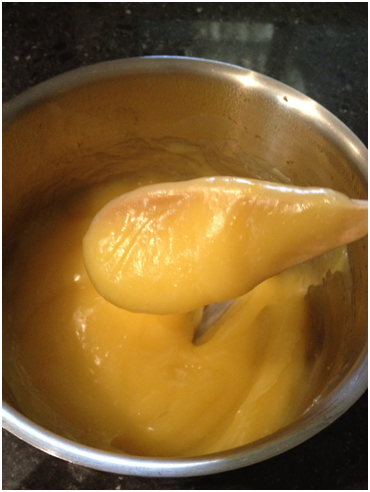 I love lemon curd. Glad you enjoyed this recipe! This looks beautiful! If you’re bored on my birthday, I’ll take one too 😉 !! nice space vth awesoem recipes.loved it………. I am blushing at all these compliments! Delicious! I need to get one of those torches. That is one beautiful pie. Hello my Guru, My daughter is almost like you (not in baking) in getting what she wants. She asked for golden Pomeranian for Christmas gift and she got it. Anyways, The tart look fabulous! I always love the meringue swirls and then blow torching it. It looks perfect. Lucky father to have a sweet girl like you. Happy birthday to your daddy!!! 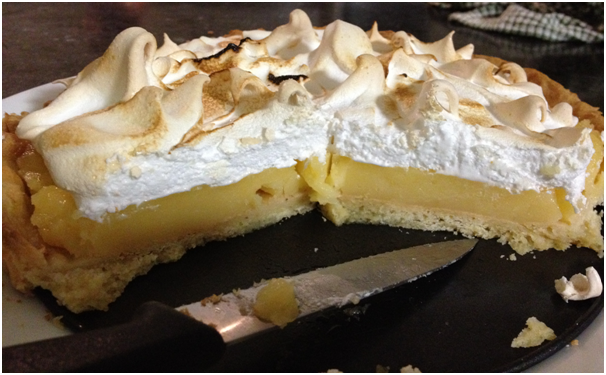 Lucky him getting a lemon meringue tart…it looks AMAZING!!!! He enjoyed it and I am glad you did too! Aw, that’s so sweet. Happy Birthday to your sweet dad! 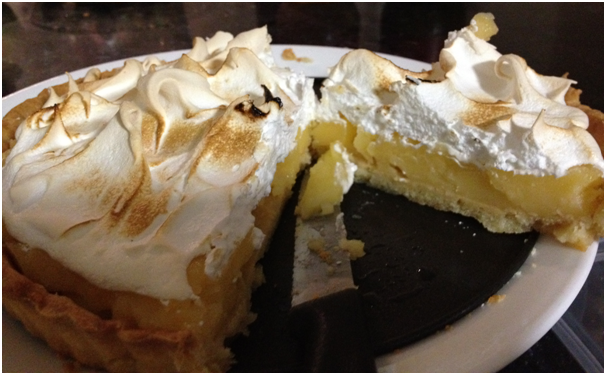 I love lemon meringue pie! It’s so tasty and always delicious! It’s been a long time I didnt bake one. Yours looks gorgeous!! I would need that little arsonist tool to get mine looking that pretty 🙂 and thanks for your comments on my blog, i really appreciate. This looks fabulous and so professional! This looks awesome!!! And I like your cut out cookies! 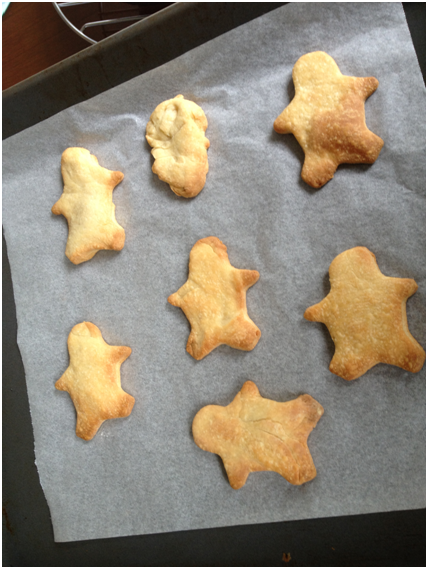 And the cut out cookies are a great way of using up dough and they taste so good and light! Happy birthday to your daddy. If he spoils you, sounds like you spoil him right back with words and sweet tarts! And yes, I suppose I do spoil him – I like this reverse spoiling 😀 – thank you for your kind words and have a great week! wow! nothing can beat an amazing lemon meringue pie 🙂 looks great! I am so in love with lemon meringue pie and this looks so good, esp the piping of the meringue and the pattern. Nice one and thumbs up to you. Happy Birthday to your dad, sweet post! You did an awesome job on this pie and I am sure he was delighted. Hope you are enjoying the weekend! I had a lovely weekend and I hope you have a wonderful week! Thank you so much my friend and I hope you have a lovely week! 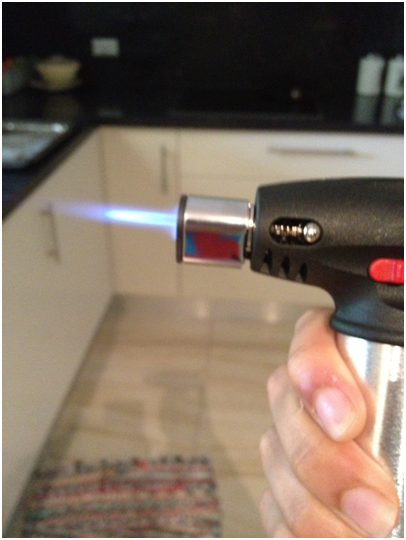 And I love the blowtorch!